The Dog Site is a guide for dog owners with emphasis on Dog diseases, and numerous resources about Dog Training, Dog Breeds and Puppy Care. 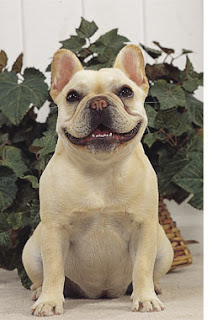 The French bulldog is a lively small breed, very similar to English Bulldogs and American Bulldogs. Their skin is very silky which makes it very attractive to other pets. Although the name suggests that they originated in French, American and British breeders must have played a role in their breeding. They are a breed which is wonderful for a great laugh and strong friendship, because of which they are even nicknamed “clowns” and “frog dogs”. They are commonly known as Frenchie. French Dogs live for 10 to 12 years and there are a lot of dog diseases associated with this breed of dogs, Some of these health problems and dog disease are mentioned below. Even though it is considered to be the healthiest of all the bull breeds; it must be kept in mind that owning a French bulldog will lead to extremely high vet expenses. Copyright 2007-2015 (http://www.dogdisease.info). Simple theme. Powered by Blogger.